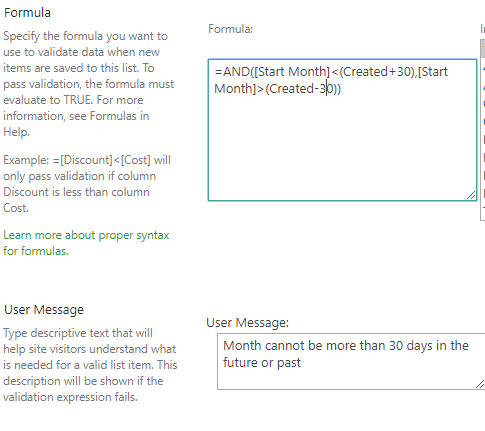 This works as expected when creating a list item, failing when the date is outside of the range, but when editing rows it always gives me an error even if I haven't changed the Start Month column. Per my test, I can reproduce your issue in my environment. I recreated your use case and ran into the same issue. 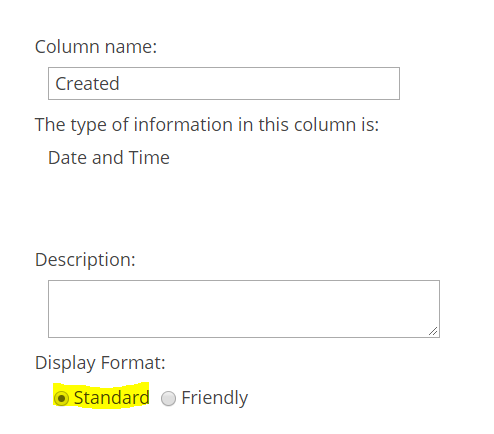 However, I looked at the default settings for the 'Created' column, I realized that it defaults to the 'Friendly' setting (meaning it spells out the date in words as opposed to using a number format, i.e. 3/21/2019). Once I switched it to 'Standard', your formula worked as expected. Not the answer you're looking for? Browse other questions tagged sharepoint-online column-validation validation-error or ask your own question.